alone but have added all the dals mentioned. 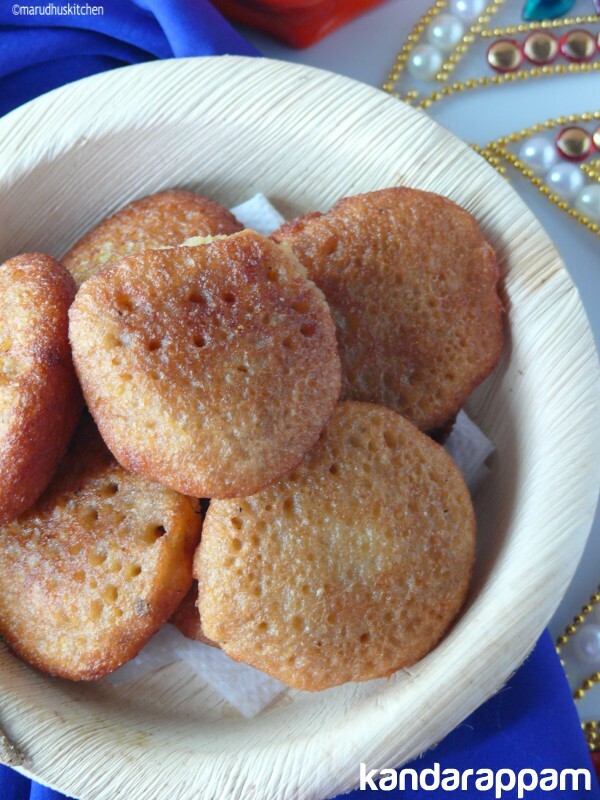 Iam doing it for the first time and chettinad kandarappam was soft inside with mesmerising crispy edges with cardamom flavour. It may be a festive item but it will sure be a common snack for every one. 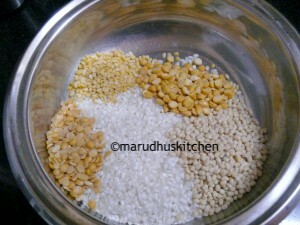 Soaking the dal and rice for long hours is most needed to get a good puffy appam without a need for adding any cooking soda are any fancy thing. 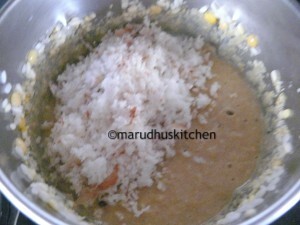 Coconut is yet another important ingredient that enhances the taste of this chettinad kadarappam. 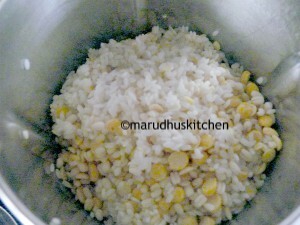 1.Take rice and dals together and wash it well and soak overnight or atleast for 6 hours. 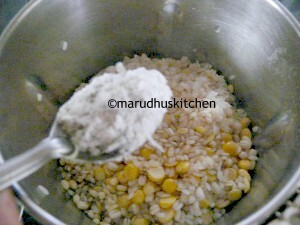 2.Take a mixie and put all the drained contents into it. 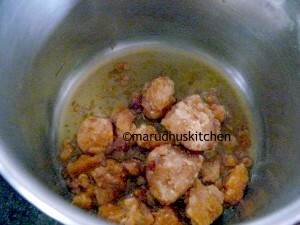 3.Take a vessel with jaggery and little water make it to melt completely. 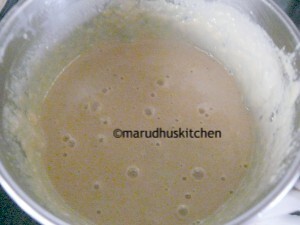 4.Filter it directly into the jar and add cardamom powder also and before grinding it to a smooth batter add coconut and grind. 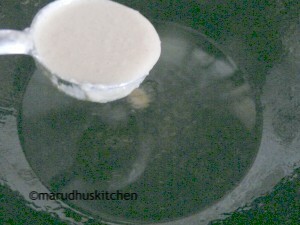 5.Keep a thick bottomed kadai with sufficient oil to fry appam and let it heat. 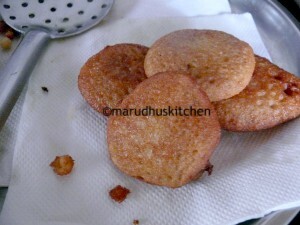 6.The batter should be lightly thin than the idli batter. 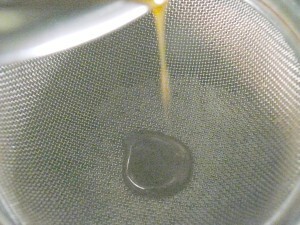 7.Stir well and pour with help of a laddle into the oil and let it cook keeping the flame high and low as required,so that the insides are also cooked. 8.When golden take out in a tissue and serve.